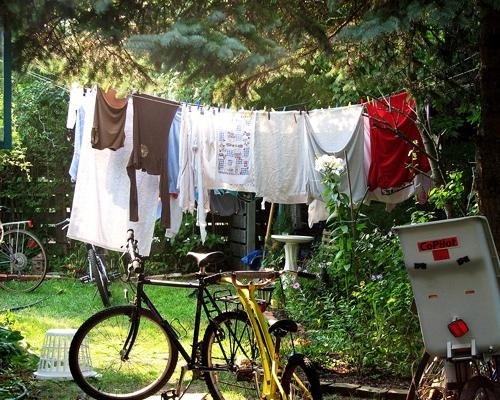 Since first discussed here, 18 states have joined Florida in passing legislation preventing anyone from telling you that you cannot put up a clothesline or (in Florida's case) a solar collector. This includes a homeowner's associations (HOAs) and condominium rules, covenants, etc. Except, you can't hang your towels (or other items) over the railings of your apartment or condo railing. Right to Dry only goes so far! If you haven't already registered, you can do so at the Growing Green website.